Need a gift idea for a baby, toddler, child, tween, teen, adult or teacher? Don’t worry. We’ve got you covered. Our Gift Ideas page is filled with Gift Ideas for everyone. These items are either Canadian made, Canadian owned or available to Canadians and feature some unique gift ideas that are almost guaranteed to be a hit with the gift receiver. 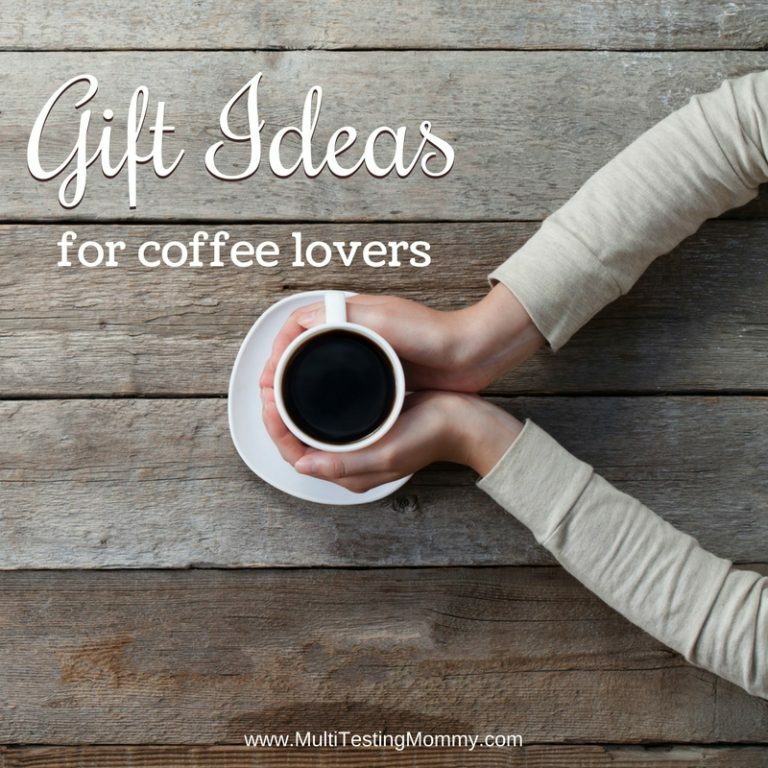 Do you know of a unique gift idea that you think should be featured on Multi-Testing Mommy? We especially LOVE to feature Canadian small businesses. Please connect with us! We have separated this page into categories by gift ideas by age in order to help you find gift giving ideas quickly and easily. 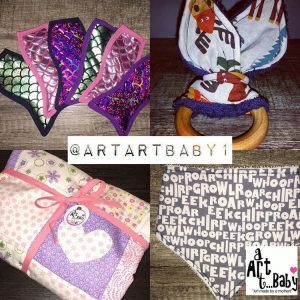 Art Art Baby provides you with the best handmade products and service at the best prices possible. They sell cute Hair Accessories, Quilts and More. 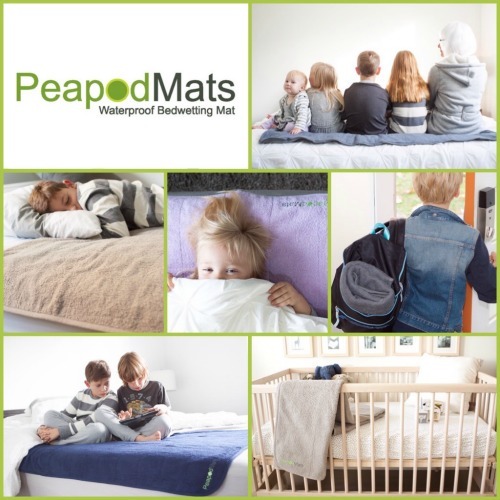 PeapodMats are a MUST HAVE product in every home with a baby or training toddler! Feel free to read my review here of these excellent waterproof bed pads to get to know their amazing quality and characteristics. Sleeping Baby Inc is the home of the Zipadee-Zip Swaddle Transition solution! The Zipadee-Zip was originally created for a little girl who refused to sleep without being swaddled 😉 It’s meant for babies 3 months and older and it provides a woomb-like environment, but with room to push up, roll over, and wiggle around safely. The slight resistance in the “wing-span” helps a baby self-soothe and sleep better than they would in a traditional sleep sack or PJs. 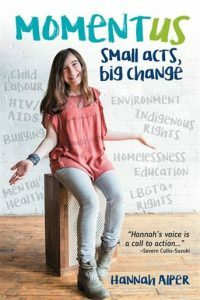 Momentus is the debut book by Canadian social media activist and fourteen-year-old Hannah Alper, and is a great holiday gift to inspire teens to become young change-makers of their own. The book explores how people have made, and can make, positive changes in their community and features interviews with activists, celebrities and youth change-makers like: Malala Yousafzai (Nobel Peace Prize Winner), Lilly Singh (Canadian social media personality), Severn Cullis-Suzuki (environmental activist). A great fit idea for the tween or teen on your list. 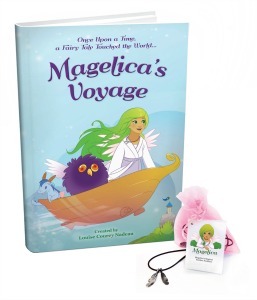 Magelica’s Voyage is a Magical Fairy Tale about Believing in Yourself, Love, and Positivity. The Perfect Gift for Children ages 5 -11 this Holiday! FREE Shipping Worldwide. Book by Dini Petty, raising funds for CMHA. 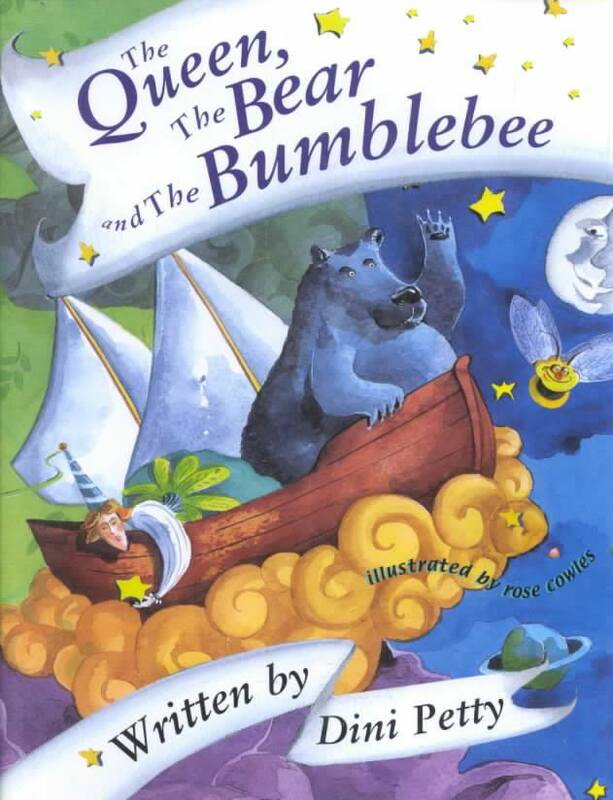 Three friends, the Queen, the Bear, and the Bumblebee, set sail on a flying ship into the far reaches of space, where they encounter the charming Prince of Night and his wish-granting crown. The others ask for personal improvements, but the sage Bumblebee is happy to stay his old self. When trouble turns up, the humble bee saves the day with the tried-and-true assets nature gave him. Whimsically illustrated, this amusing verse tale shows the importance of believing in oneself. 100% of the sales of this book is given to CMHA (Canadian Mental Health Association) – Cost $10 (plus shipping if applicable) – visit judybrunton.ca/donate for information on how to purchase. 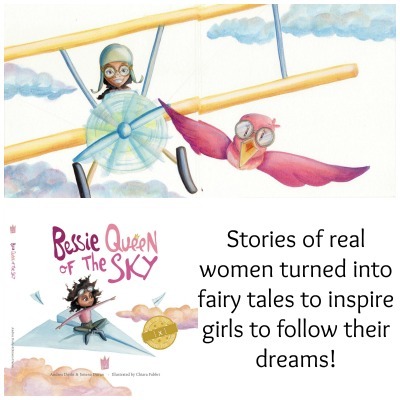 Get your copy of Bessie, Queen of the Sky – The first story of the Queen Girls collection features Bessie Coleman, the first African American woman in the world to receive her pilot’s license. Read to learn how Bessie made her dream come true! Recommended age – 4 to 8 years old. 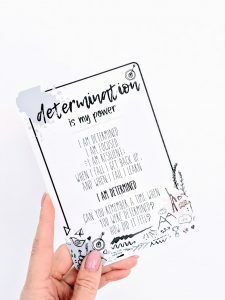 I AM Affirmations for Kids by Love Powered Co. 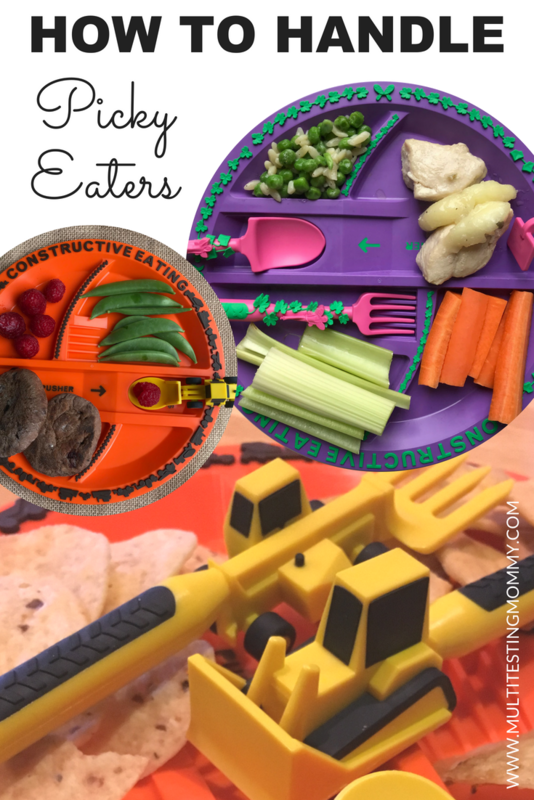 Constructive Eating Plates and Utensils make an excellent gift for toddlers, pre-schoolers and young school-aged children. They make eating fun and can even help the pickiest of eaters! Their “pushers” have saved us from a tantrum or two over the years. 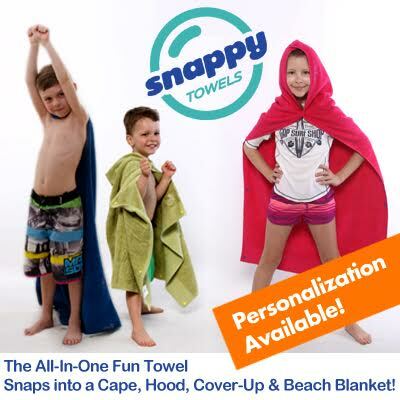 Snappy Towels make a wonderful gift for end of the school year, birthday or just because! They have child-friendly snaps and are convenient for the beach or pool. KidSpot offers PERSONALIZED Gift Ideas for children. A free personalized name comes with every purchase! See our review of their beautiful personalized embroidered towels! 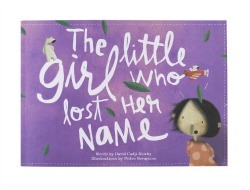 Lost My Name is a company that makes a personalized book just for your child all about their name taking a child on a magical adventure to find her name with a hunt for each letter throughout a lovely story. 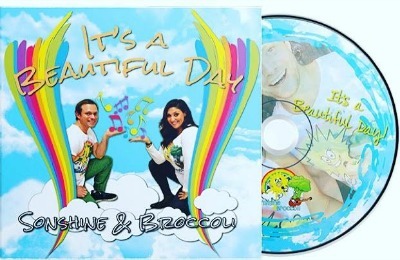 Sonshine and Broccoli’s album It’s a Beautiful Day is a super fun and engaging CD filled with music for children. 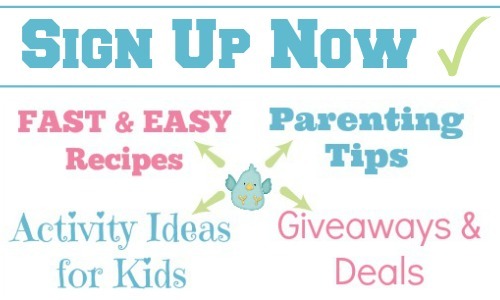 Curiosity Box is an award winning Canadian company owned by a mom who’s mission is to help families enjoy quality family time! 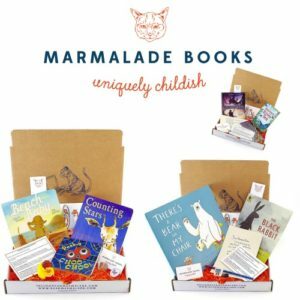 Inspire your child’s curiosity and creativity by ordering fun and conveniently packaged themed craft and activity boxes right to their door or your inbox (with Curiosity Club)! 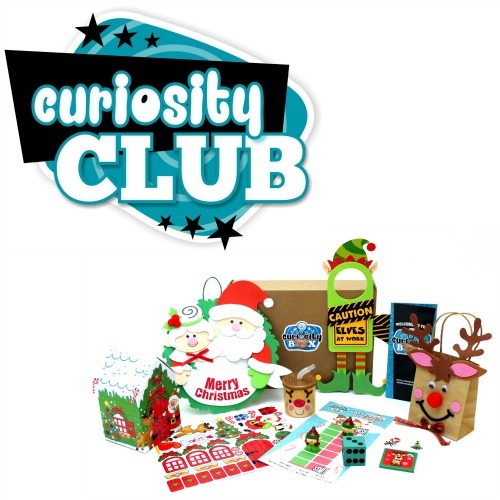 Curiosity Box is recommended for children ages 3-7. 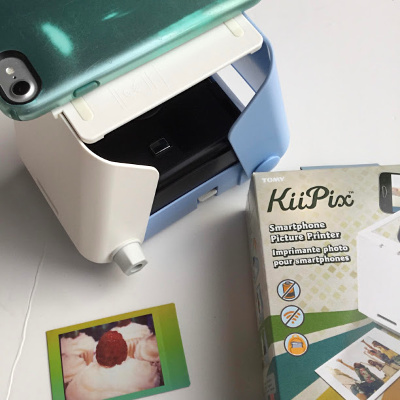 I AM Affirmations for Teens by Love Powered Co.
KiiPix Photo Printer is a portable, fun and easy to use gadget that all tweens and teens would love. It works with your smartphone and prints off photos in seconds. Offering beautiful, functional and meaningful gifts that are so impactful they make people cry — in a good way — Round Trip Studios (RTS) uses laser technology to do amazing things like engrave a baby’s first footprint onto a rustic birch Christmas ornament, or a hand written recipe onto a Canadian made cutting board. There are so many moments in life that you think you will remember forever, but they fade quickly, and that feeling of love, appreciation and happiness you had fades with it. We have figured out how to capture that moment, that feeling, and remind you of it every time you see, use, or touch one of our products. We want you to surround yourself with elements that remind you to celebrate life, in a beautiful and functional way. 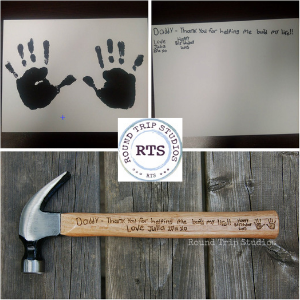 Round Trip Studios has a gift idea for even the hard to buy for people in your life. You can also follow them on Facebook or on Instagram. 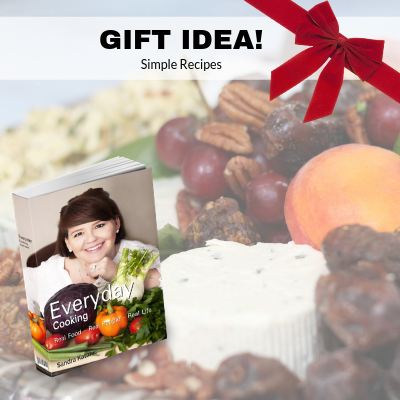 Everyday Cooking Cookbook by Sandra Katanic is a recipe book filled with simple recipe ideas to switch up your every day repertoire for your family meals. 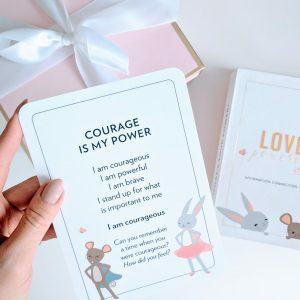 LOVE POWERED FEMME BOX SET is the perfect gift of I AM Affirmations for the Modern Woman from Love Powered Co. In Her Element – Happy Handlettering is the product of gratitude and JOY. 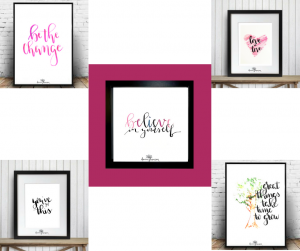 The artist, Dionne Thomson, a self-proclaimed wordiphile, lovingly creates each handlettered piece as a expression of her passion for life and commitment to living a life on purpose! With over 100 pieces available today, you too can share and enjoy a little Happy Handlettering in your life! Ask about having your favourite quote or saying handlettered just for you. Bluish Tulle Skirts are hand crafted with care, paying close attention to quality and detail. 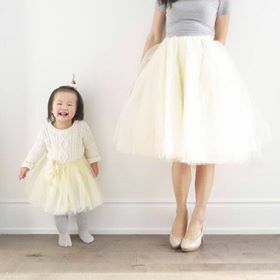 Whether you are looking for a tulle skirt for yourself OR a special skirt for your little one, be sure to check out Bluish! These adorable tutus and skirts have been seen on CityTV Breakfast Television, FASHIONCAN, and at Pottery Barn Kids. 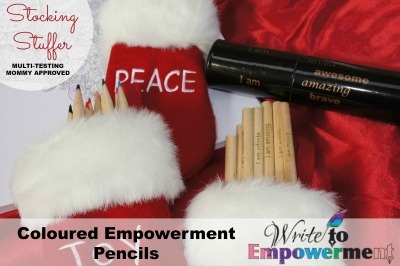 This set of 12 Coloured Empowerment Pencils has a unique positive message on each one. 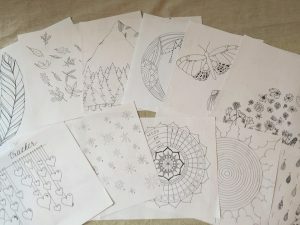 These would make an excellent gift for anyone on your list who could use some positivity in their life, who is creative or who loves to colour or draw. 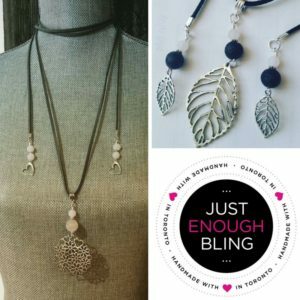 Just Enough Bling – Canadian, hand made jewelry designed and made with love by a free-style designer. Each piece of jewelry is uniquely made by owner, Susan Melnick. Made out of faux-suede (animal-friendly), boho necklaces feature semi-precious stones and charms. The necklaces are 8 feet long so you can wrap them once, twice or three times. The boho’s are flexible and eye-catching. Each necklace comes with instructions for how to wear them. Hand-wrapped wire jewelry is definitely an art form. The bracelets and necklaces are feminine, beautiful, and versatile. Susan does custom design on the spot at various vendor shows throughout the GTA. Just Enough Bling Bookmarks will be a big hit for your kids, teachers or your book club friends. Funky, colorful, and whimsical, the bookmarks are a perfect holiday stocking stuffer! You can reach her via email at justenoughbling@gmail.com or on her Facebook Page. The Ulitmate Pedicure Slipper is the perfect gift for the person on your list who enjoys to get pedicures! You will never ruin your polish again with this unique, one-of-a-kind slippers! These pedicure slippers are reusable, comfortable, stylish and has a non-slip double foam sole. More great gift ideas for the entire family to come soon! Some links are affiliate links on this page and in some cases, product samples and/or payment was received to be included in this Gift Guide. 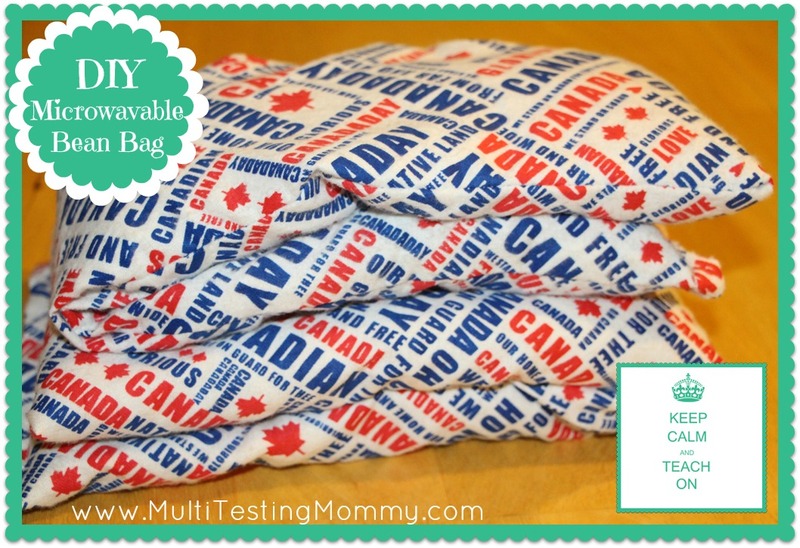 Please know that ALL items are carefully and thoughtfully vetted to be considered a Gift Idea on Multi-Testing Mommy. If you have a product or service that you believe would make an excellent gift idea for a Canadian baby, toddler, child, tween, teen, adult or anything in between, please feel free to contact us for consideration. Girls love anything as long as it is about Barbie. I can vouch for this as both my grandchildren and Greatgrandchildren(girls) love any thing connected to HER. Oh Elva – I truly do appreciate your comment, but I’m not sure I agree with you! My daughter isn’t into Barbie at all. But yes, you are right, many girls are. Great gift ideas, maybe another idea is a monthly toy subscription box. Hey I’ve been looking for some great teacher gift ideas, lots of goodies here!! Thanks for your comment 🙂 I can’t wait to get MORE ideas up soon! Great ideas, can’t wait when you have more coming up! Thanks Yuen – I can’t wait either! I like the ice cream scoop idea! This is a fabulous list of ideas!! I love how unique and simple they are .. thanks for sharing! Great Idea’s For a Baby Shower! Thank You! So glad you got some ideas Karen! I love the craft for teachers. I know that I spent a pretty penny on Sara’s teachers at year end and I actually think that handmade gifts are so much more appreciated. Teachers do appreciate handmade gifts 🙂 They are made with love. I love these gift ideas! Each are unique in their own right. I especially love the ideas for end of school year. Very sweet! I love the Sugar Bush Fairies door for my tree! Aren’t they SO sweet?! Which one would you get? I agree that teacher’s prefer hand-made gifts from their students. It’s so easy for a parent to purchase something, but it’s not all that meaningful. Like others, I like the Sugar Bush Fairies, all of them. Now that it is my granddaughters in school, rather than my child, I seem to take more care in supporting their teachers and making sure they feel appreciated. I think it’s because my life is not so hectic and I have more time to pay attention to the important things in life. I truly think that is the true beauty of being a Grandparent! All of the life’s day to day hustle bustle is gone and you can focus 100% on the people you love, right? You sound like an AMAZING Grandparent and your Grandchildren are truly lucky to have you! 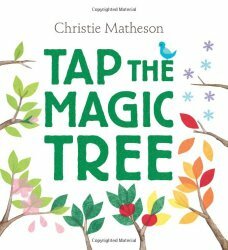 I love the idea of a fully illustrated book, a CD to sing along and an app that plays an animation on your computer. What a fantastic idea. Isn’t it a creative a fun idea? AND a child receives mail which is also VERY exciting! Thanks I love idea fpr new and expectant mom! MommiesFirst truly is the BEST gift ever for New and Expectant Mommies! Mommies First looks like such an awesome idea, I wish I had that for me when my kids were younger! I will remember when my friend has her baby in 6 months! It really is a fun gift idea! Moms LOVE to receive it. 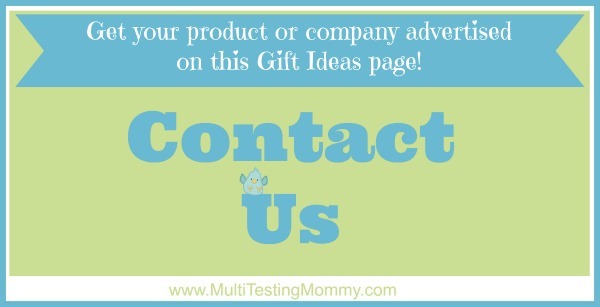 MommiesFirst really is a fantastic gift idea for new and expectant Moms! I really like the end of school gifts for the teacher! I love your innovative and thoughtful gift ideas. Aren’t they neat? Such a fun, unique Gift Idea! Just purchased a birthday banner for my grandchild. Love to give something he has not seen anywhere before. Surprise. surprise. Isn’t it neat? There are so many people out there who would LOVE one of these! Thank you Multi-Testing mommy, you rock! I am so glad to hear that, Kathy! The Flipstick really is a neat tool, isn’t it? 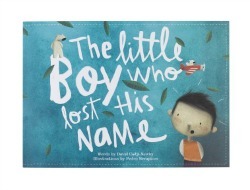 Love the Lost My Name books….such a great gift for any occasion! I really like all of your gift ideas. I am very interested in PosterJack and Amanda’s Book Picks. I really lilke her choices. Snappy Towels sell towels with snaps so they really cover-up when necessary-wonderful for the pool and/or the beach-such a simple yet wonderful idea for modest people. 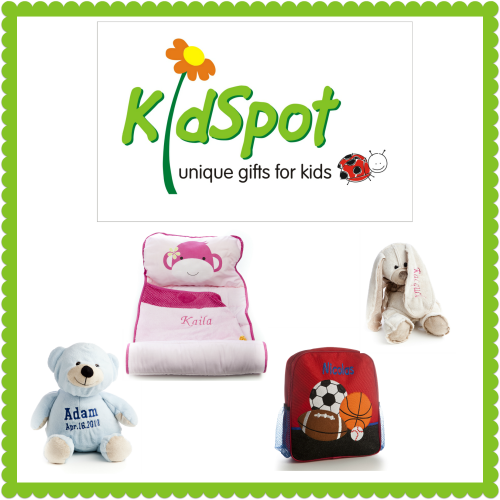 Kidspot features Unique gifts for children with a free personalized name on them. Isn’t this a wonderful gift for any child? I would think so because I think children love to see their name on their toys and Possessions. So many good websites to choose from! Posterjack is a Company that helps you to keep special moments frozen in time forever with their special posters. This is a wonderful thing to do for people. ‘The Book with No Pictures’ seems to be an interesting and delightful book for young children. It has a curious name for starters. Just gets you interested at once. Mommies First is a wonderful company that sends new mommies a box each month for the low price of $30. This new company includes items, as I understand it, for both Mom and Baby. This would be a relatively inexpensive gift to give to a young mother for a few months from a family member or special friend. 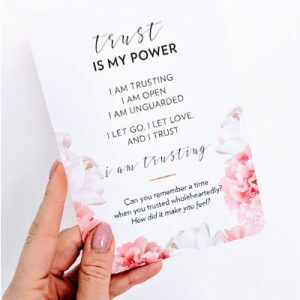 I LOVE Sleepy Owl products – for me too!! I think that the Peapodmat is a great development in water proof pads. I honestly cannot imagine life without our Peapodmats! They have made such a HUGE difference in comfort while sleeping with protection as well as leaks in beds! PeapodMats are fantastic,just received one a few days ago and believe me they really are the cats meow! The lilspeak’s clothing line really “speaks” to me!!! I love it, there are so many adorable gift ideas on there! I always appreciate gift suggestions like these. Most handy! Lots of great gift ideas, thanks for sharing! So many great ideas! Wish many of them had been around for my first. These are all amazing gift ideas, I love the smart mitts!! So many good ideas for baby gifts. So many great ideas! I haven’t heard of some of these brands. I’ve bookmarked this for myself to go through for gift ideas! I really like the idea of giving books. Toys get lost and we have so many, but books last. really great ideas. I love to give books to new babies. Just picked out some wonderful books for my grandson. He gets a gift that keeps on giving and I get to spend time reading to him! I’ve tried Sleepy Owl products and love them! I see some really great gift ideas! My favourite would be the curiosity box for my granddaughter. I really like all your gift ideas but I love giving books as gifts.My granchildren are fascinated and entertained with books. Such a great list of ideas!! Thank you so much. There are some good ideas here. I always struggle when it’s time to give a gift. Thanks. Great suggestions here….we loved our Zipadee-Zip flying squirrel pj’s so much, we gifted a pair to a close friend! Fantastic product! I would love the AlphaBlock & CountaBlock for my son! Let’s just say he’s a little obsessed with numbers & letters. I gotta check this out on Amazon! love it,all great gift ideas! Thank you for all the wonderful gift ideas, sometimes I just don’t have any ideas. This is a great list, thanks for doing such all the research. always looking for unique gifts and sites. thanks for collating the list. Great gift ideas! I love gifting personalized gifts so I will have to check out KidSpot! I love when I can personalize my gifts,it makes it more special!! Thanks for the great list of books,i love giving books! When our new grandckild arrives i want to try the Sleepy OwlSleepy Owl. PeapodMats are such a great gift idea,we love ours. These are great gift Ideas! I like the way it’s organised. Pingback: Do You Need a Unique Gift Idea for a Child This Holiday Season? I feel pretty envious that there are such great products, diapers, clothes etc. on the market today. My oldest has just turned 41 and there weren’t such wonderful products around back then. The waterproof bed pads are great too a nice big size.